Thanks to support from Turner Voices, between March and July 2018, Essential Theatre worked to build relationships with and gather the stories, insights and perspectives of Syrian refugees and their families from around metro-Atlanta through one-on-one interviews and community dialogues. We sought out Syrian refugees, of course, but also others connected to Syrian refugees – refugee service organization volunteers and staff; neighbors, family and friends of Syrian refugees. Identify primary stakeholders in this project and build relationships with each of them, to ensure that everyone that should have a voice in this story, does. Engage primary stakeholders in central roles in the project as much as possible: we sought writers, artists, and community influencers to play leading roles in the sourcing of stories to collect, the shaping of Stage 1 events, and the development of recommendations for next steps in this project. Identify and connect with expert consultants within the fields relevant to this project, to provide support and feedback as we embark on this journey. Our goal is not just a laudable product at the end of the process, but a constructive and healthy process throughout, and for that, experienced outside eyes and minds are invaluable. Gather stories and build connection through a variety of different methods and practices, including one-on-one interviews, story circles and group conversations, and more abstract theatre activities, with a goal of not just data gathering, but also experimenting with different ways of connecting with individuals and their communities. Analyze the stories for common themes, qualities and elements, to inform future stages of this project in which a performance or performances will be created. Seek ongoing feedback from our stakeholders and project participants, to inform refinements in our process and our goals, to ensure that the project that develops is meaningful to all primary stakeholders identified in Goal 1. We learned a lot during Stage 1 of this project, and we built some really special new relationships as well. As we’d hoped, we built relationships with several people who proved encouragingly eager to share their stories and connect us with others interested in doing the same. We learned a lot about things that do – and that don’t – work well for bringing out community members to events. We met one man who actually has an idea for a performance that he’d like to create based around his own experience, and we look forward to lending our support in his pursuit of that goal. And we met several others who gave generously of their time and their attention to help us seek out and hear the important stories in their community. We are still collecting interviews, in fact, as people are continuing to come forward and offer to share with us. Continued story collection – having refined and streamlined our one-on-one interview process, and still being approached by refugees interested in sharing their stories, we will continue this arm of our project as long as there are Syrian refugees interested in connecting with us. Stories are kept confidential except as specific consent and approval is given by the storyteller. All interviewers sign non-disclosure agreements. If you are interested in supporting this project with a gift of time, resources, connections, or financial support, email us, or make a donation through our website and designate it in the Comments section on the donation form. “The Man Behind the Hummus” – We will also work closely with our friend Malek Mba, the man who shared his performance idea with us, to workshop and develop his idea further. To find out more or get involved in this project, let us know you’re interested! 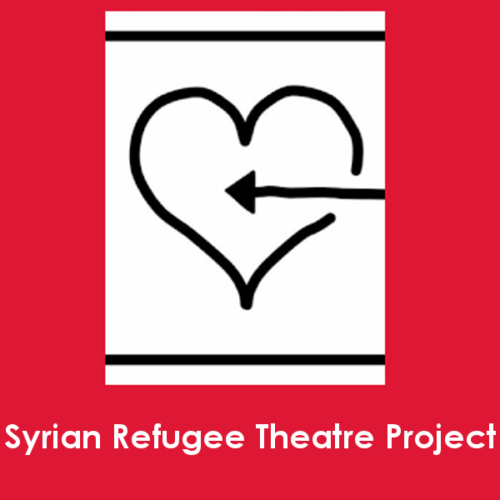 We are seeking sponsors and supporters as well as creative collaborators – actors, dancers, musicians, visual artists, storytellers, multimedia artists, and creatives of all sorts – and we are particularly interested in working with Syrian Americans in the creation and production of this piece. Essential Theatre is the only theatre company exclusively dedicated to producing work by Georgia playwrights. We’ve been around for decades and are most well known for our annual play festival: 2018 was our 20th, in fact! As for the “we” referenced in the project description: Essential is the umbrella organization, Jennifer Kimball is the project coordinator, and we are in the process of collecting team members for this project right now: we need people willing to share their stories, story collectors/interviewers, story sorters, translators and artists and writers willing to put together the public performance at the end. Training and support will be provided each step of the way, but we want to make sure we have all the project’s stakeholders represented in our creative team, not just Essential Theatre. If you are a refugee or refugee service community member, we are interested in finding ways we can work together deeply and meaningfully, and not just create a theatre project. If there’s a way that our project can forward your goals, we are interested in finding out. SRTP: March 17 Day of Theatre – a day of theatre, conversation, and workshops on creative community building. Free and open to the public. All welcome! This is a great opportunity to meet some of Tapestri’s staff, learn more about anti-human trafficking and domestic violence programs in Atlanta, and shower Tapestri’s clients – immigrant and refugee survivors of domestic violence and human trafficking – with love for their little ones. This event is not a part of the Syrian Refugee Theatre Project. Free to attend, donations for mothers gladly accepted. Notable Atlanta contributors will share their powerful backstories, including Clarkston Mayor Ted Terry, Ricky McKinnie (the Blind Boys of Alabama), Dr. Gulshan Harjee (co-founder, Clarkston Community Health Clinic), Dr. Heval Kelli (cardiology fellow, Emory), Leon Ndahimwa Shombana (Refuge Coffee), Christopher Wedge (co-founder, Sons of Pitches FC), Shaheen Rana (Georgia Tech), Shauna Greene (Six-Word Memoirs) — with special guest Senator Jason Carter, who will share President Carter’s six words from the book.